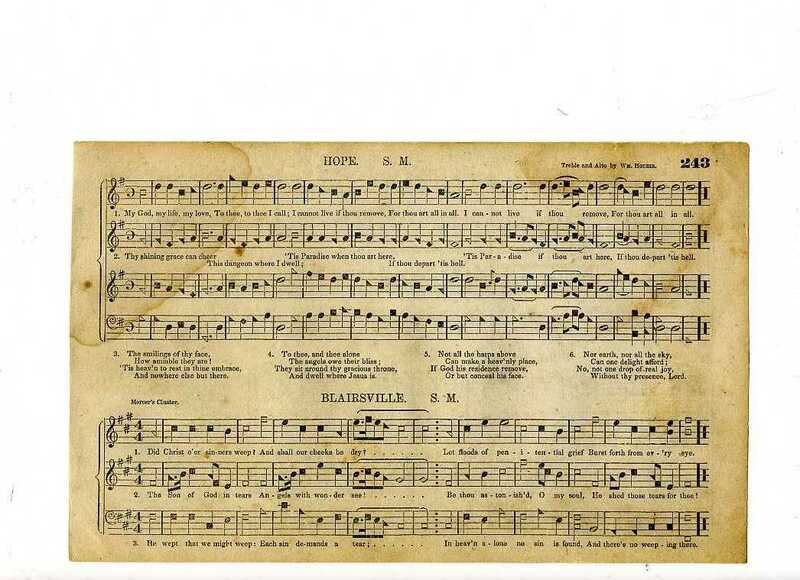 The addition of shaped-notes to religious texts was introduced during the 18th century in New England in an effort to restore congregational singing, the reading of music and the musical heritage that had perished since the early settlers came to America. Congregational singing declined with the increase of illiteracy and the scarcity of printed music. Singing schools utilizing shaped-notes were instituted to instruct and to encourage lively group singing. Recently, this style of singing has gained national attention through the film “Cold Mountain” which was set in Western North Carolina. Singing schools spread throughout the East and the South with the continued westward expansion of frontier America. The singing school master would advertise his ten day singing school in a small community and draw participants in the town and rural areas. Singing school taught skills such as the reading of the musical staff, rhythm, singing the syllables, harmony singing and vocal production. The song books used were religious in text, thereby making the gathering appropriate for mixed company. Many singing masters authored or compiled their songbooks which included traditional hymns, folk tunes as well as their own compositions. The popularity of singing schools led to a rise in musical “conventions,” an annual event which featured all day singing and usually a dinner on the grounds. In rural areas of North Carolina, Alabama, Mississippi, Georgia and Florida, traditional singings or musical conventions are still held and many date back over 100 years. Western North Carolina is home to two such conventions which feature the songbook of South Carolina native William “Singing Billy” Walker. Revivalist singings have sprung up across the country from California to Vermont. Many regions are reviving out-of-print songbooks and in New England a compilation of “lost songs” have been republished in The Northern Harmony. The workshop will focus on learning the seven-note shaped-note scale. Our text will be William Walker’s Christian Harmony first published in 1866. 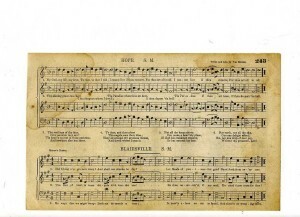 Many old hymn favorites will be sung including “Prayer Meeting” (“Sweet Hour of Prayer”), “Coronation” (“All Hail the Power”), and “New Britain” (“Amazing Grace”). 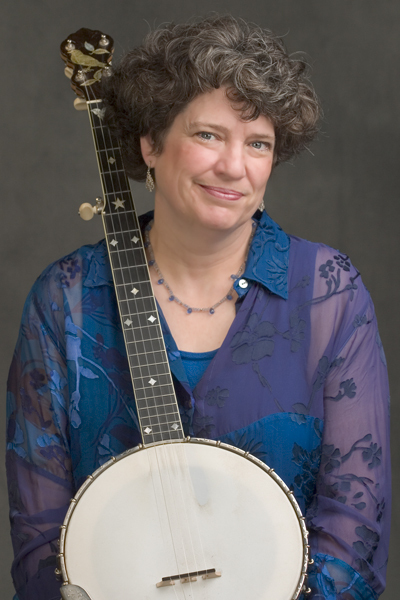 Laura Boosinger has been studying and performing traditional Southern Appalachian music since she was a student at Warren Wilson College in the 1970’s. It was at WWC where she began to learn clawhammer banjo, learned how to call southern mountain square dances and attended Shaped Note Singing School with North Carolina Folk Heritage Award winner Quay Smathers. Laura performs solo, as one of David Holt’s Lightning Bolts, with her duet partner Josh Goforth. Her latest recording, Most of All, with Josh Goforth has received extensive airplay throughout the US and the UK.